Are you 16 or older looking for a great sumer job or challenging career? American Red Cross is the best place to start. 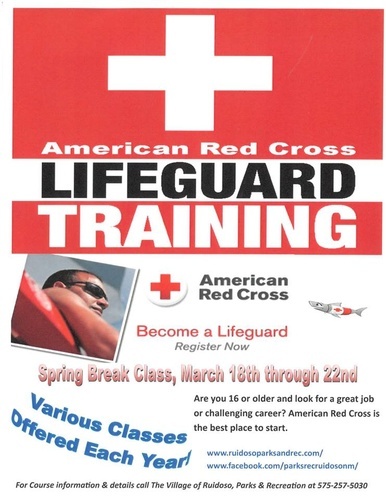 We are looking for motivated young adults to train to become a lifeguard for our public pool. Call the Ruidoso Parks and Rec department for detailed information.